Scarborough police say they have arrested a 17-year-old boy in connection to the shooting on Ash Swamp Road earlier this week. SCARBOROUGH, Maine — Scarborough police say they have arrested a 17-year-old boy in connection with the shooting on Ash Swamp Road earlier this week. Scarborough police say they received a call of a suspicious vehicle in the driveway of a residence on Pleasant Hill Road around 1 a.m. Friday. The caller said the vehicle had left the property while he was on the phone with the dispatcher. Officers found a gray Honda Ridgeline on Black Point Road that was operating without taillights and stopped the vehicle. During the stop, officers became aware of a handgun that was in the vehicle. Police say the vehicle was similar to the description of the vehicle that was seen in the area of 104 Ash Swamp Road on Monday, when someone entered the home of 47-year-old Bruce Glidden while he was sound asleep and shot him. 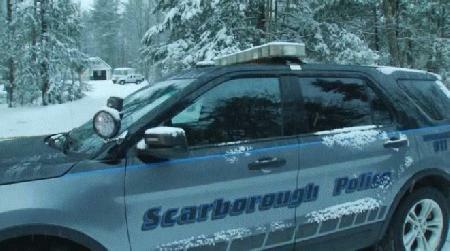 The operator of the vehicle was identified as a boy from Scarborough. Police say further investigation resulted in the arrest of the boy in connection with the shooting. The boy remains in custody and the Cumberland County district attorney’s office is reviewing the charges. Police say they do not have any information to show that anyone else was involved in the shooting, but the investigation continues. Glidden, who was shot twice, has been released from Maine Medical Center. His wife and children also were home, but were not hurt.